If you find any bugs, please report them and help to make this mod better! Support Voxels! Become a Patreon! One Pet to Rule Them All! 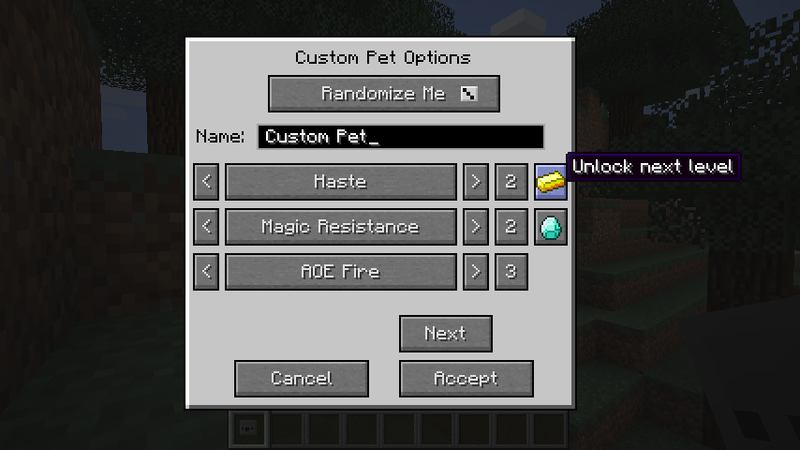 Make your own Custom Inventory Pets! Gather Ability Cards from killing mobs (see Card Locations below) to learn new abilities. Stronger mobs drop rarer cards. 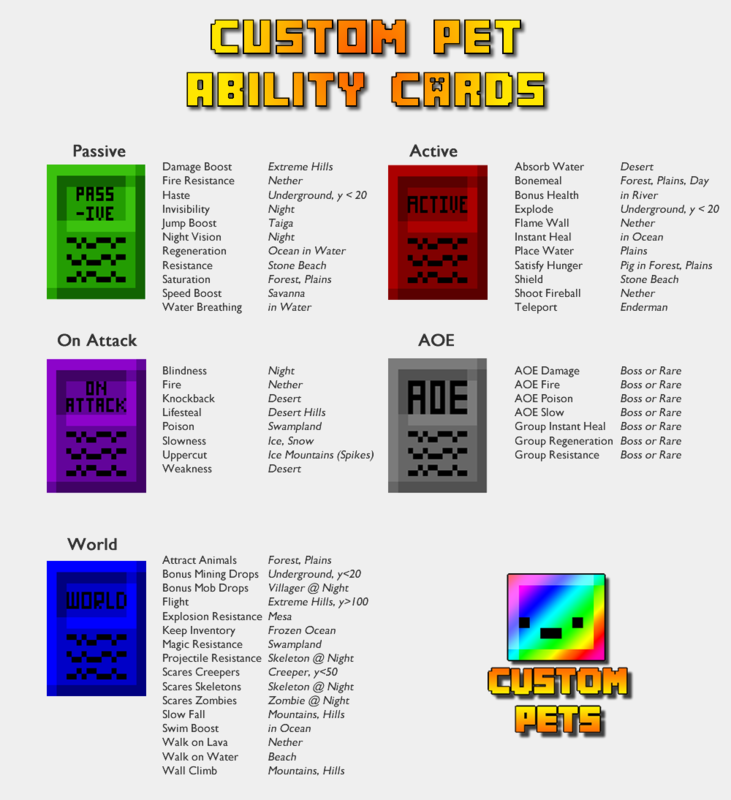 Choose your shape from a given set of Pet Templates, then choose your Colors. 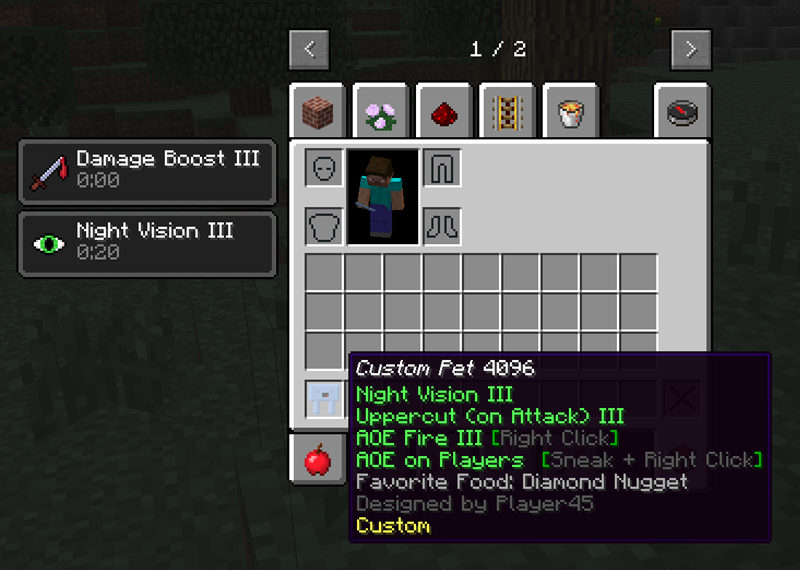 Besides gathering ability cards from killing mobs, abilities are fully unlocked in Creative Mode, or if you disable ability cards in the config. 1. Choose your Name and Abilities! 2. Choose your pet Food and Sound! 3. 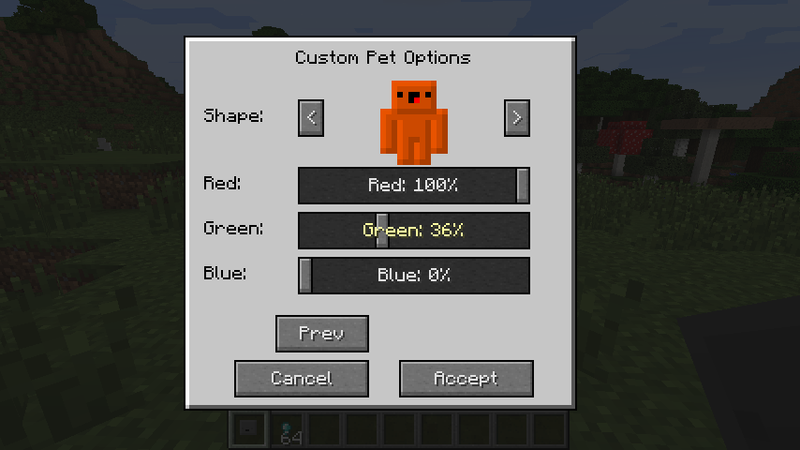 Choose your pet Texture and Colors! 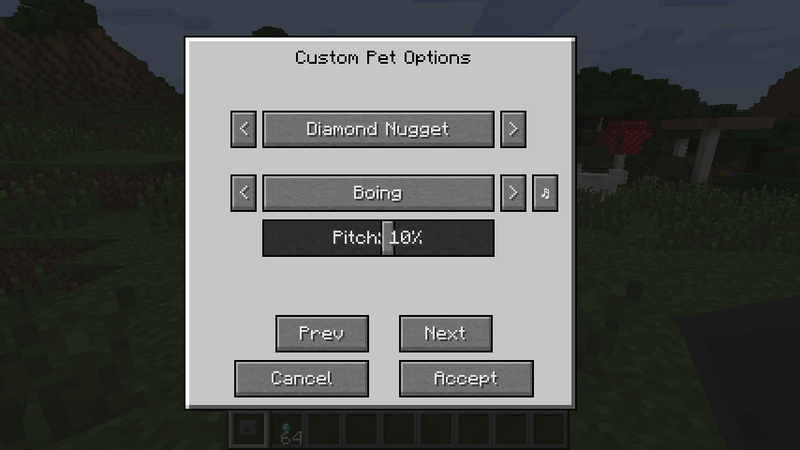 Please PlEaSe PLLLLLEEEEAAASSSEEE I'm BEGGING YOU please move this to 1.8.9 because I JUST FINALLY got it working I'd be FOREVER Greatful!!!!!!!!! Mod creators have lives you know. Seriously. You know, I haven't been watching this mod too closely, and now it seems to have become popular all of a sudden. Hope to get update in during early summer. plz plz update to 1.8.0 please! 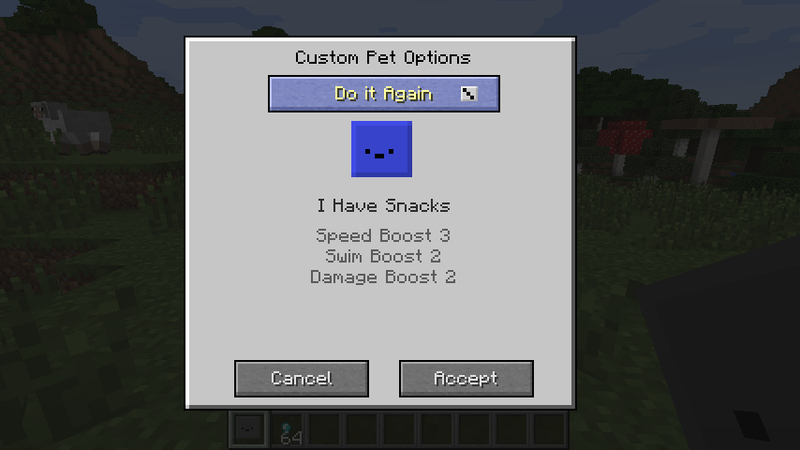 Is it intentional, that Custom Pets aren´t compatible with Inventory Pets? Hold off until 1.11 comes out to update the mod. It's virtually just around the corner. Otherwise, it'll be 1.8 - 1.10 all over again. When you have the time. Could you update it to 1.10? Yes, I really need to. 1.8 and 1.8.9 are already passed their prime at this point.